Thanks to all that came out to our Holiday Networking Social! Join us Wednesday, January 17th for our next event! Big Data is becoming one of the most significant advancements of the last decade. With data showing the ability to contribute to everything from election predictions to transportation services, extracting useful information from extremely large datasets is transforming multiple scientific fields, and the biological sciences are no different. Billions of data points on genes, proteins and other molecules, as well as large volumes of patient data, can give us precious insights to better predict and treat disease. Over the next decade, discoveries through the use of computational models will allow us to leverage that data into meaningful information, contributing to the improvement of healthcare globally. All are welcome – members, non-members, women and men! Due tomorrow by 6 pm! We have impressive women who are STEM researchers and educators that deserve to be recognized! Please take a moment to NOMINATE a female researcher or educator that has made a difference in her field of science or technology or been a special role model or mentor. Nominees for the STEM awards need not be an AWIS member. 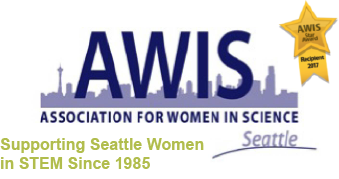 The nomination process is simple – visit http://seattleawis.org/award/seattle-awis-awards/ for more details and the nomination form. If you have questions, please contact awards. The NWABR BioExpo takes place May 18th but high school students would like mentors to help select topics, provide resources and evaluate their projects between now and April.